Nintendo's story could be seen as the story of the games industry as a whole, certainly from an interface perspective. The company's NES console introduced domestic players to the D-Pad (first used on the 1982 Game & Watch Donkey Kong) and more than one action button, while the SNES added shoulder bumpers to the mix, plus a whopping four face buttons. Nintendo's next console, the N64, would popularise analogue control and introduce the idea of plugging additional components into the pad, like rumble paks and memory cards. Externally these controllers tell a story, but once opened up, the evolution of the humble pad is even more evident. 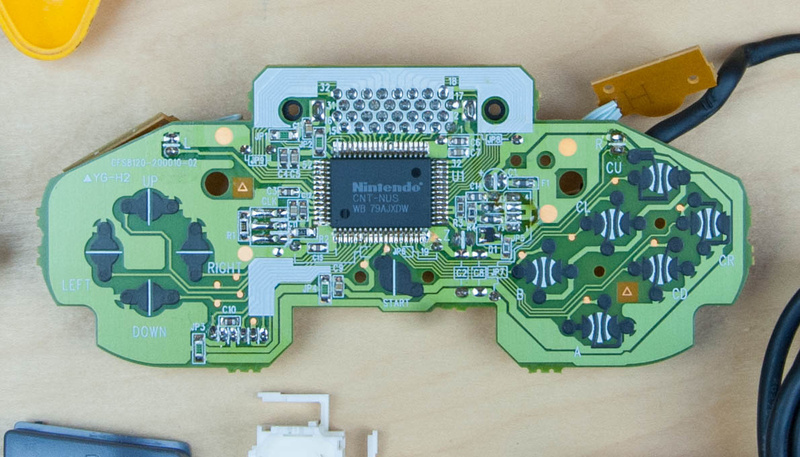 The folks over at Fictiv have done just that, carefully deconstructing the NES, SNES and N64 controllers to see what makes them tick. The NES pad is a masterpiece of simplicity, with neat touches such as an internal cable arrangement which reduces the potential for damage when yanking the lead. 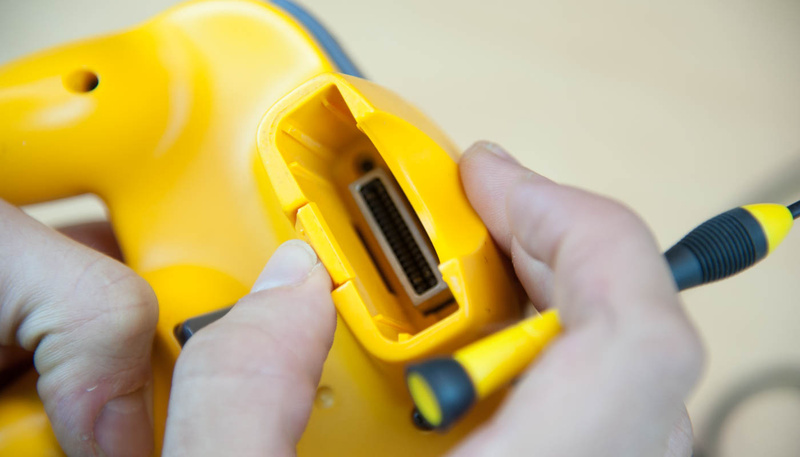 The SNES boasts an even more robust casing and clever button design on the shoulder inputs, while the N64 is light years ahead of both its forerunners, offering a complex joystick mechanism and an expansion port on the underside. Fictiv will be taking part other Nintendo pads in the future, so be sure to keep your eye on the site. Seems like Nintendo doesn't go for cheap when it comes to materiel quality. We already knew that, but it's nice to see that confirmed and up close. That SNES controller probably isn't going to work again. There's and extra d-pad rubber next to it if I'm not mistaken. I've already taken apart a N64 pad to change the thumbstick. It's fun looking inside things. I've been buying retro Nintendo things for a few years now and taking the controllers apart and cleaning them has been an easy way to restore them to like new. Occasionally I will pick them up and they will have sticking buttons but a nice cleaning fixes them easily. 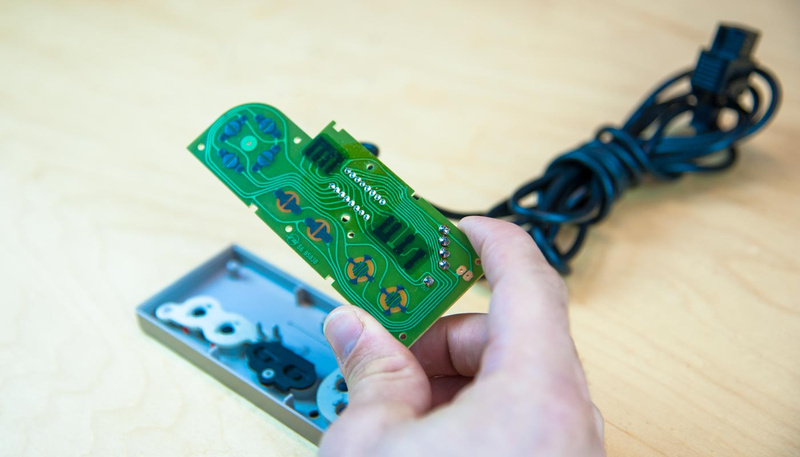 The only problem the controllers can eventually have are the pads under the buttons can rip and tear after years of use, mainly on NES and SNES controllers. 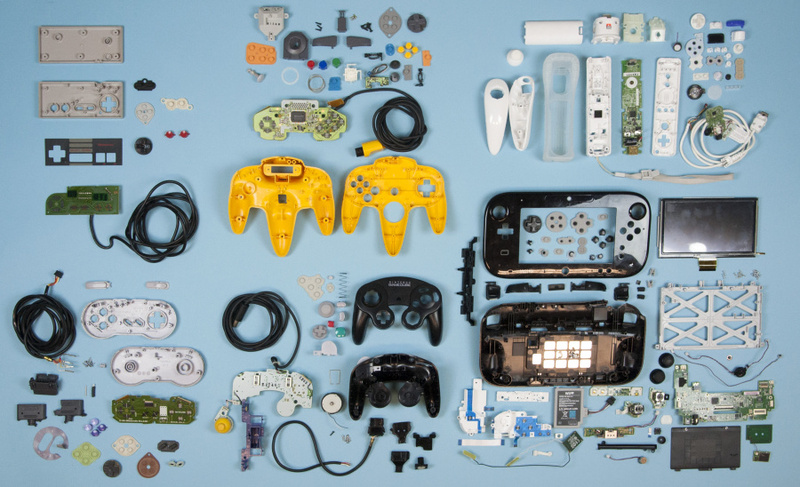 But it's still amazing how well built all Nintendo controllers are. Like others I've had to take apart almost all my controllers as well to clean them, change sticks on the n64 controller(n64 is so much better when you have a comfortable good stick) and such. It does annoy me that people list controllers as "very good" condition when buttons stick and the first thing you have to do is open it up and clean it all out. @NESguy94 Yeah that SNES controller has seen better days. The green pad is the traditional ABXY button pad. The white one looks like a prototype d-pad while the brown one is the traditional "d-pad" pad. So the white pad looks out of place as it couldn't be used with the brown pad, it would need to be one or the other. @Nico07 I think some SNES controllers could have had both brown or white but I may be thinking if the white NES Dpads. The brown is definitely original and the white actually looks like it goes to a 64 because of the two holes. Wow, this only cements the Wii U gamepad as a technological marvel, especially for 2012. The fact that they were able to have lagless video streaming, a screen that big, and keep it light (just under 500 grams I believe) is astounding. @Vriess nicely said. I have the same thought when I go back to my Nintendo handhelds, for the most part. I was just having a look at my Gameboy Advance systems and they have a great feel as far as I can tell. I've always liked Nintendo's product quality, mostly and I've liked most of the controllers I've used. To be fair, I've had good experiences with many first-party controllers over the years. Gamepads from NEC and Sega are among my favorites, and even Sony's PS1 pads seem pretty good, though I've yet to tear one of those down. I remember coming across a comparison of the N64, Playstation and Saturn/Dreamcast analog controls. It was really interesting to see the different approaches taken to get very similar results. What did they do to that Wii U game-pad? It looks like they cracked apart the top right corner. I've deconstructed nearly all of my controllers and even a few consoles for restoration. It is amazingly therapeutic, especially when you put it all back together and it's working better than new.